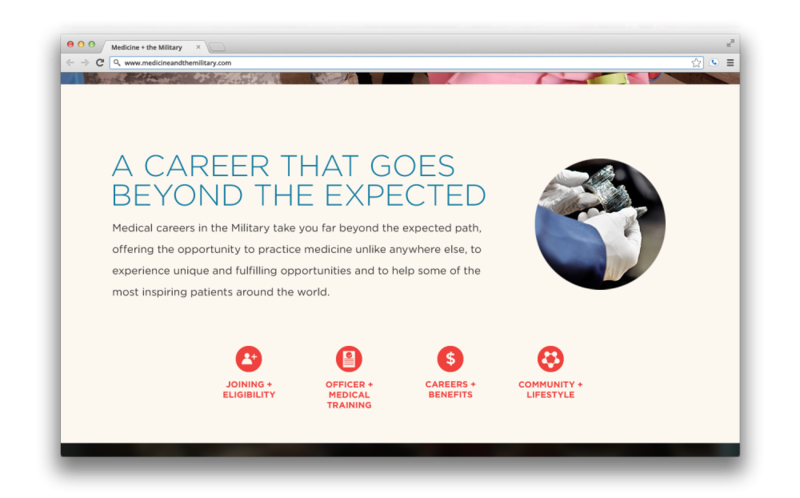 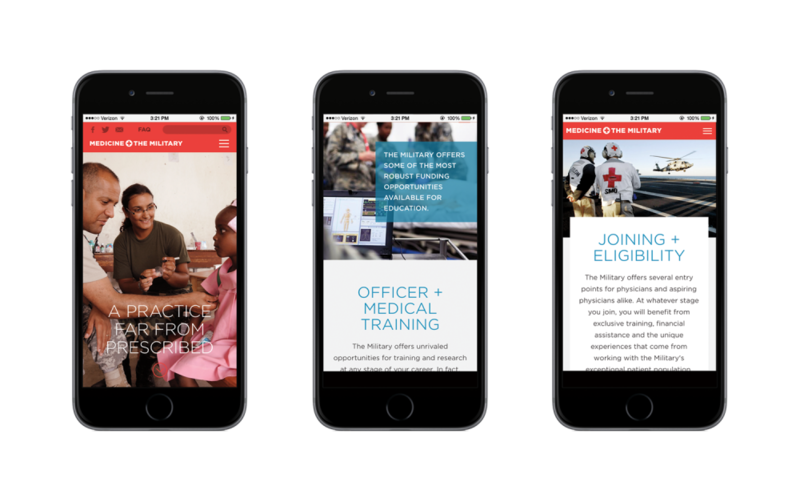 Responsive site explaining the opportunities for physicians in the Military. 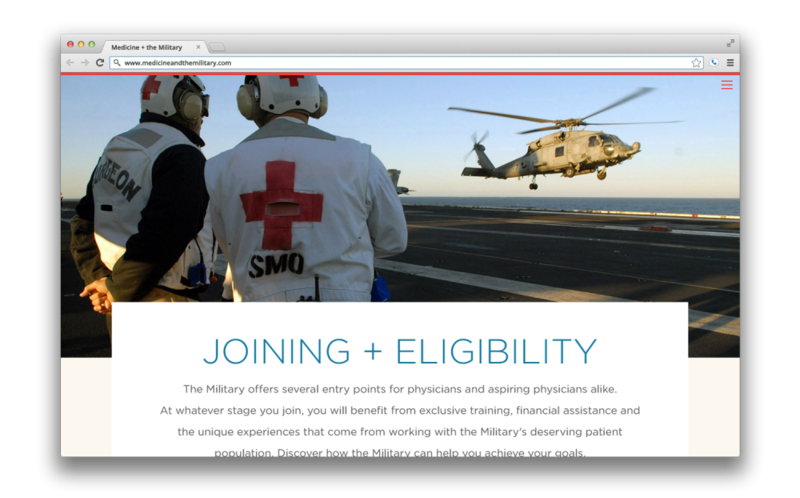 The Military came to us with the task of creating a microsite to encourage medical professionals to join the Military, as numbers had been dwindling in recent history. 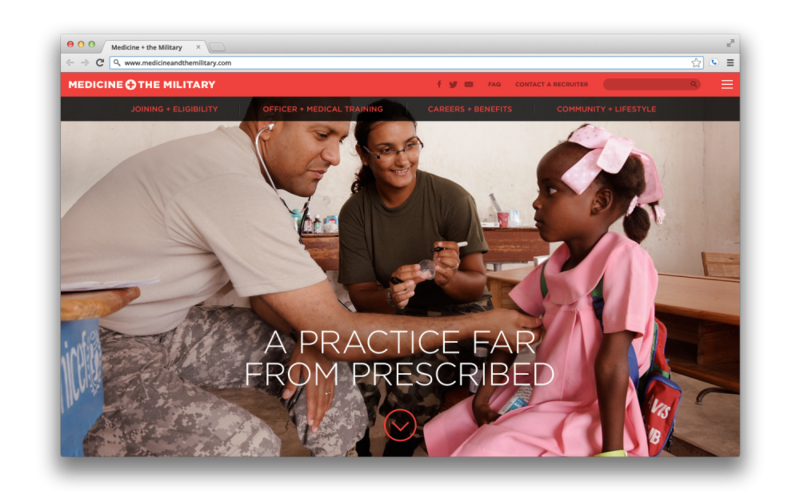 Working in an agile workflow setting, together with an IA and Developer, we created this responsive website. 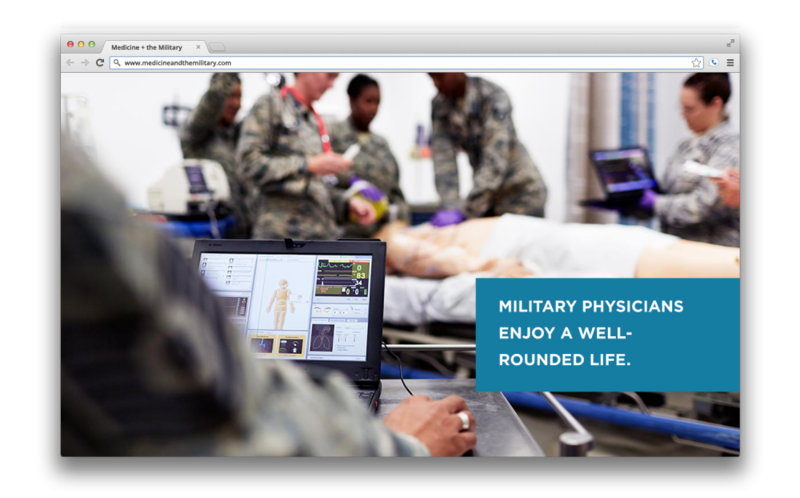 By creating an expansive, clean and positive web experience, we provided viewers with comprehensive information about the various aspects of joining, training, working, and living in the different branches as a medical professional.